“Opening Subculture for November is Terre Thaemlitz (aka DJ Sprinkles). A unique artist, sometimes making arguments and often her opinion felt in her music. She first released her album “Tranquilizer” on Instinct Ambient (a sub-genre of instinct records) back in 1994. The same Instinct Records that were the first to sign Moby with his single Mobility and the B-side “Go” in 1990. Moby’s track “Go”, a mix of samples from Laura’s Theme (Twin Peaks) and a Northampton gothic-rock band called “Tones on Tail” has been remixed by numerous people including Jam & Spoon (RIP Mark Spoon), Bart Skills, Rex The Dog, Trentemoller & Loco Dice. Loco Dice, weirdly, hooked up with grime artist Giggs for their track “Get Comfy”. It was made MILES better though by Robert Hood when he put his stamp on a remix. Robert Hood (aka Floorplan….NEVERRRRRRR AH AH AH) released his 3 volume EP PARADYGM SHIFT on Dekmantel Records this summer, pulsating techno to make you bleed, now that’s my type of music! 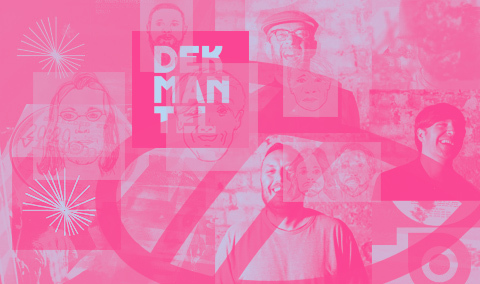 Dekmantel records is run by Thomas Martojo and Casper Tielrooij. They run the label, Dekmantel festival in Amsterdam and perform as Dekmantel Soundsystem. Dekmantel Records released tracks by Tom Trago for their clothing and music collaboration done with Patta. Buy a piece of clothing, get a free vinyl. Excellent deal. Tom Trago remixed New Order’s “Tutti Frutti” giving it that very disco, funk Todd Terje kind of feel. Also on the remix treatment for New Order was Agoria with their track “Restless”. Agoria collaborated with DJ Tennis on Bapteme (Lucky Blue Eyes Version), DJ Tennis’ “Divisions” was remixed by Roman Flügel and Roman Flügel remixed Jennifer Cardini “Stay”. Cardini mixed Module Records “Rexperience #2” back in 2011 and features tunes by Rebolledo, John Roberts (if you haven’t listened to his album “Glass Eights” then DO IT NOW!!!!) and Matthew Dear (aka Audion who played here for the RA in residence series). Who, along with Hudson Mohawke had a HUGE influence in the production of Tiga’s 3rd EP “No Fantasy Required” with both featuring on “3 Rules” and “Planet E” respectively. Tiga’s 2009 belter “Shoes“, co-produced with Soulwax, was given the remix treatment by Mr. Oizo (remember that wee yellow puppet from the Levis advert, aye well the mastermind that put him in the “Flat Beat” video.) He’s just released a new album called “All Wet”, track highlights for me include “No Tony” and “Ruhe ft. Boys Noize”. Mr. Oizo back in 2007 wrote and directed the film “Steak“. It’s a pretty weird French film about a guy who gets out of a psychiatric hospital and wants to join a gang that goes about playing violent games, drive trucks and drink milk….. I know, weird right! Anyway, he also produced the soundtrack to the film along with Sebastien Tellier. Sebastian Tellier’s album Sexuality, produced by Daft Punk’s Guy-Manuel de Homem-Christo features a track entitled “L’amour et la Violence” which was remixed by the super talented Floating Points (I mean super talented, he wrote “Nuits Sonores” on a plane journey to the festival of the same name, c’mon).